It’s half term in Liverpool, and there’s plenty of family friendly activity to look forward to at Liverpool Irish Festival. This Saturday join us at Museum of Liverpool for our annual Family Day. With craft activities, plays, monologues, music and dance; tours of Irish artefacts; screenings, talks; storytelling and a raft of fun things to engage in across the Museum, the day is fun, entertaining and informative. With something for everyone, from niche to popular, this is a core event we hope you will share with us. The Family Céilí is one of the most popular events at Liverpool Irish Festival. This year it returns to our spiritual home of Liverpool Irish Centre. 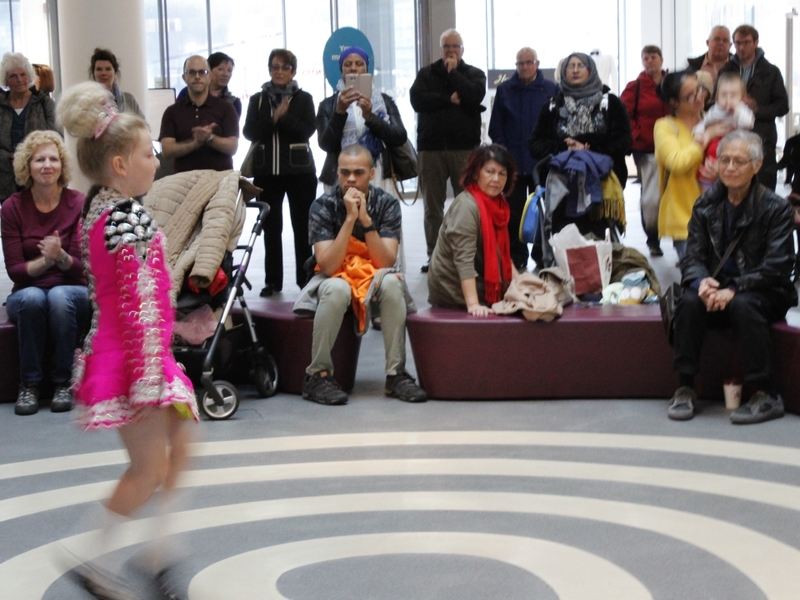 Bring family, friends and your dancing feet to join the fun and have a go at learning some Irish céilí dances, complete with live music from Liverpool Comhaltas. No previous experience is necessary as full instructions will be given, from a great dance caller.